Contact us to claim your private deal. Rakeback is paid on a daily basis to your player account. Fast deposits and payouts via Skrill / Neteller / Bitcoin via Somuchpoker team. 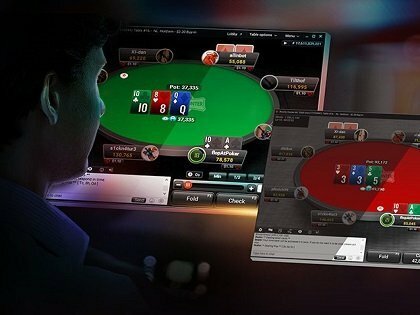 A very simple and minimalistic layout and lobby system, with four tabs : Hold’Em, Omaha, Tournament, and OFC Poker. The tables offer a few customization options and lobby, screenshots, messages, and options functions are easily accessible. The software is simple and stable, available in English and Mandarin. Hold’em Manager and Pokertracker are not supported, but a hand history converter is available. All games run in Chips, which are equivalent to USD at the rate of roughly 1,100 Chips to $1. Buy-ins virtually start at 0 but can go up to $1600, and from what we observed, average pots range from a few cents to $65. Angrybet provides Daily Big Events at around $2500 guaranteed pool prize, 4 daily freerolls, as well as special Tournaments for Beginners with a pool prize of roughly $25. Angrybet games are very soft, its network is growing and offers solid cashback value. Deposits are handled manually, at a rate of around USD 1 = 1100 chips. They can be made via Somuchpoker through Skrill, Neteller, and BitCoin. Withdrawals are also handled manually, and the current rate is at 1100chips = USD 1. There is thus a 5% spread between buying and selling chips which acts as a ‘cash out’ tax. All transactions are handled through our Somuchpoker’s Team that can be contacted by Skype or Email. Be aware of the changes in the exchange rates between USD and chips to get the best deals.